Cyber Security lags behind the hacker’s ability to tear down your personal computer, smartphone, or any other device. Recently, a group that calls itself Team Digi7al hacked multiple confidential computers, and also gained access to a database that was used by the Department of Homeland Security – kinda scary, isn’t it? Before Google even existed, and the Internet was just taking baby steps, a hacker announced that he could take out the Internet in a half-hour – this is even more scarier. Fortunately, no-one seems to have taken up the task of annihilating the World Wide Web even for a half-hour – it’s not because it’s so well protected, it’s because nobody has to gain from such a feat. But hackers have become smarter, more sophisticated, and they aren’t at all how the media portrays them – thugs wearing hoodies in front of their PC; please, give me a break Fox News. They are highly-intelligent individuals who can destroy your server in a matter of hours. Remember the Sony fiasco a while back? The one that involved Seth Rogen’s and James Franco’s movie The Interview. Do you think that some bozos got access and leaked confidential conversations from Sony Pictures? No, it was a clever job – get in and out fast, without leaving any trails; although there were some planted trails that put the blame on the North Korean government, but they were soon dismissed. So what can the average Joe do? Should we stop using devices? Should we be afraid of hackers? Well, actually one must be afraid, but not succumb to paranoia. Everyone needs to protect their devices that contain personal info. But how? The first step is installing an antivirus – the best cyber security option an individual can have. But before you go on a shopping spree an buy the first one that you’ve found, take a look at the list I’ve compiled, and weigh for yourself the pros and cons. Norton Internet Security has been a reliable defender against malware since its first release in January of 2000, and it has done well in the market filled with challengers that only need just one moment of weakness. Kaspersky, and Microsoft Security Essentials are some of the contenders to the throne, but Norton remains guarded in its position. In August of 2014 Symantec, the company that develops the antivirus, renamed Norton Internet Security to simply Norton Security – they didn’t change much – it’s got a new interface though’; so don’t be confused if you find Norton Internet Security and Norton Security expressing the same product. It’s one of the most intuitive antiviruses on the market at the moment, and anyone can use it – you don’t need to be a tech aficionado; Norton can set itself up with daily, weekly, and even monthly scans, and it protects you 24/7 without you having to do a thing. The Security tab lets you start a scan, update your software, and virus definition ( if the automatically update function isn’t on), analyse your historical data and customize the the running protection services Norton provides. The Identity tab will let you set up one of the coolest features that Norton offers. Called Identity Safe, the awesome feature will let you set up your passwords and credit card data – no more worries of phishing attempts. The Performance tab is really not that important, and the average user won’t even meddle with it. It’s fairly useless to be honest. It offers vague disk optimisation tools which means it’s a defrag program, and another tool that searches for temporary internet files, but only on Internet Explorer – it limits its usefulness tremendously, good thing IE is dead and gone, and Edge will be the new standard browser fro Windows. The More Norton tab gives the user access to family and mobile tools. If you want to meddle with Administrative Settings, and optimize it as you wish, don’t worry of turning something on, or off, that will put your computer to risk. It’s highly intuitive, so it won’t posses any problems. What I found to be slightly confusing about Norton was when I ran the first scan. I keep my PC clean all the time, but I do have some out-dated software that other antiviruses present as being a risk for malware. Norton didn’t care about them, but it found a couple of cookies that it thought are too risky for me, and immediately deleted them. Now, I don’t mind that, they were just some tracking cookies that were of no use to me, what I do feel to be a little bit overzealous from our new overlord Norton, is that it deleted them without even asking me if I want to keep them or not. Norton also blocked a program without giving me the choice of unblocking it – strange, if you ask me. It was a legitimate and safe program. The Diagnostic Scan Tool is pretty standard. It helps you relinquish minor problems that your PC has, and it can actually make your computer start faster, and not lag so much – if optimized correctly, of course, a task that you must do yourself, because the tool gives only a list of problems, and the solution to update, remove, or just turn off. Norton also offers you the opportunity of scanning your Facebook profile – it scans your timeline, and your feed for unsafe links. There are too many corporations, and apps that know more of me than my own mum does, so I don’t recommend using the tool unless you think your profile has been exposed to hijacking. Real-time protection against viruses, malware and emerging threats. You can visit their official website and buy it straight from them. It’s outclassed by other antiviruses available on the market, but not by much. It’s also a free product, and if you maintain your computer up to date it’s an effective tool. The software should be used at your discretion. It should state that it’s a baseline tool, and not a comprehensive package that would keep your computer under a sealed lid. Performance-wise it runs without a glitch, and it won’t be so resource consuming as other products available in our list, but Microsoft’s Security Essentials kinda takes a beating when it’s about protecting your device. In a test on my clean PC, the antivirus let almost 40 malicious programs in. 20 others were present on my computer, and it took the program a while to neutralize them. It only blocked about 30 of the 100 malwares that I tried to install. That’s really not something you want to hear. It’s truly a shame, because it’s the most unobtrusive program that I have ever used. It doesn’t bother the user with petty things, it just sits in your status bar quietly, and only when it senses a vulnerability, or wants to scan, it shyly pops up and alerts you. Microsoft Security Essentials works in tandem with Windows Update, so there is no need to worry about turning on your updates – it does this automatically. The Home tab offers information regarding your last scan, if there were problems found, and if they were resolved. The Update, History, and Settings tabs are self explanatory. A few things I want to mention regarding the Settings tab, and it’s about performance. You can limit the CPU usage of Security Essentials if you have an out-dated, underpowered PC, and you can prevent, and schedule scans if you’ve got work to do, and require all the RAM you can get. Also, you can exclude certain files locations from scans. What I found to be really great is that Security Essentials didn’t prompt any false positives. If you keep Windows, Java, and Adobe Flash Player updated, along with Microsoft Security Essentials, you’ll have reduced your system vulnerability to 99%. Don’t ignore pop bubbles from Java, and Adobe – sometimes there is crucial info regarding your PC’s state; and restart your PC once a week for updates. If you want to remove Security Essentials from your PC just click Uninstall – from Add or Remove Programs, or from the file’s location. It’s free from Microsoft’s official website and it’s intended for older versions of Windows. Windows 8.1 comes already installed with Windows Defender. With a near perfect track record, excellent interface, and great features, Kaspersky is one of the best antiviruses on the market. Kaspersky 2013 won 7 awards, the 2014 version won just one award – the prestigious MRG Effitas for Real World Enterprise Security Exploit Prevention ; the 2015 line has some big shoes to fill. Before reading the rest of information regarding Kaspersky, you should know that in March of this year Bloomberg has accused the company of having close ties with the Russian military, and intelligence officials – noting that nobody wants a product that can potentially send private data to the Russian government. The company bashed Bloomberg for its sensationalist title, and said that they only created the article with the sole purpose of increasing readership, and exploiting the paranoia that has plagued last year regarding the Crimean conflict – Kaspersky officials haven’t stated that the claims were true or not. Now, take that with a grain of salt, and let’s go on with our short review. I sent 100 malware programs to my clean PC, and only a few got through. 6 of them were neutralised as soon as they started making trouble, and just one of them managed to fully get in and compromise the system. No false positives, and legitimate software wasn’t scrutinized. Once you open Kaspersky you’ll see the four major panels Scan, Update, Safe Money, Reports. Highly intuitive and easy to use even for a novice. The fist two panels, and the last one, are self explanatory. Safe Money checks website URL’s to see if they are in a database of secure sites, it checks the certificate used in order to take a sneak peak behind the transition, resulting in the discovery of fake sites, it automatically suggest to open the website in the Safe Money Mode – for more security against on-line theft. The Protection Center which can be found in Settings lets you toggle various features that you may or may not need. I found that the Anti-Spam add-on doesn’t do well with Thunderbird, and Microsoft Outlook 2010 – it made the e-mail just hang, not freeze, but the program didn’t portrayed any information. One cool feature is the one designed for gamers. The Gaming Profile disables pop-up notifications while you run a full screen application – imagine playing Dark Souls and accidentally clicking a diagnostics pop-up; keyboards will be broken, mouses will fly through the window. You can set Kaspersky to perform scans and updates while the PC is idle, so it doesn’t consume resources when you most need them – also, you can set what programs, and apps have the highest priority, so the antivirus can start its daily routine after certain tasks were completed. Though, be careful if you have an underpowered PC, because they will always be at their limits, and Kaspersky can get confused if the task has been completed or not. 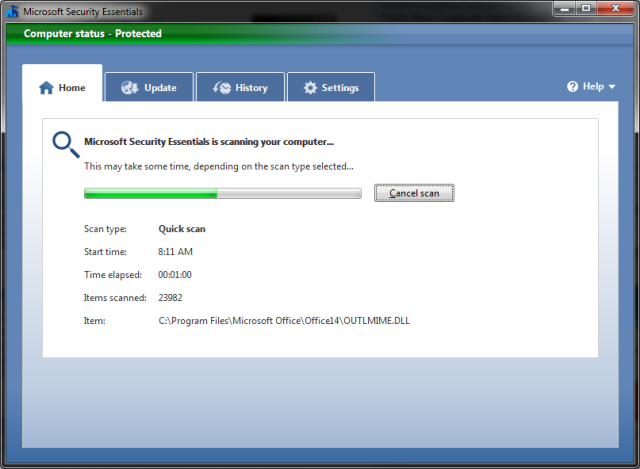 Keep an eye open if scans are made, or if the antivirus is stuck in a loop. Their antivirus comes with every feature possible, the only thing that changes is on how many PCs you can install the product with one license, and for how many years is it available. For more PCs please visit their official website, where you can also buy their product. The last one in our cyber security options list is the BitDfender antivirus. It doesn’t rank up to the mighty Norton, or Kaspersky, but it does its job well enough. 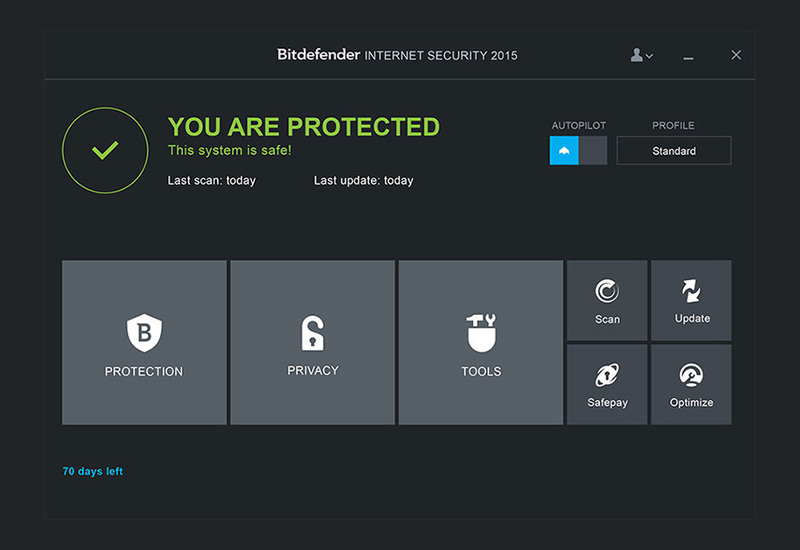 A seven time winner of PC Mag’s extremely simple to use, and efficient antivirus, BitDefender has seen some better days. It has superb features and it is well designed, but it lacks the protection we all need. The 2015 version is just a redesigned 2014 one – with added minor features. It only blocked 30 malware programs that I’ve sent to wreak havoc on my clean PC. 25 of them completely ruined my computer and I had to completely wipe it, and reinstall a new OS. 20 of said malware programs were neutralised after they started to do some damage, but too little, and too late. I’m truly disappointed, because last year’s version was incredible, and more is, it’s such a shame because it sports a classy, and minimal design – every button, and feature is right at your fingertips. 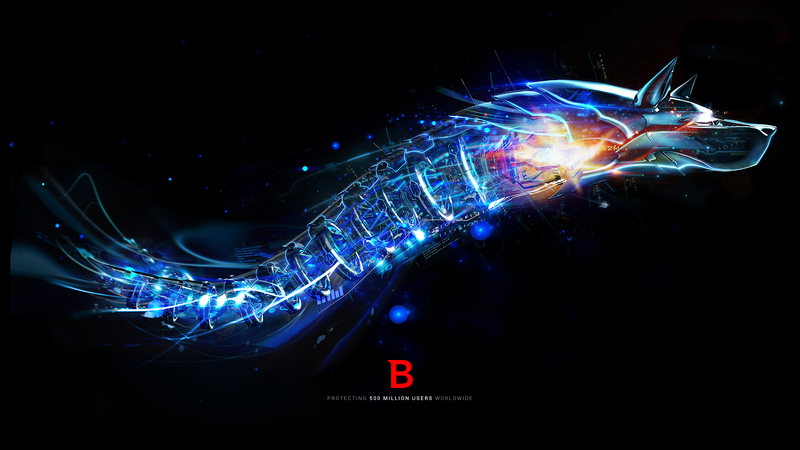 BitDefender offers three types of system scans – and it also includes one that looks for vulnerabilities in your system. It found that my out-dated Flash player is at high-risk, and a couple of other apps that I didn’t update. Its layout is really unique, and it clearly differentiates itself from its challengers. It doesn’t have a main panel like Norton and Kaspersky – various options are scattered all over the place. Additional tools can be found in the tool menu, like the OneClick Optimizer that removes junk. There is also a tool that lets you know how long does it take for your PC to boot, and what programs are holding it back. Other tools that you may like are the disk defragmenter, file shredder, registry tools and a duplicate file finder. It even has a Safe Pay mode, which is exactly like Kaspersky’s Safe Money mode. For price quotes and more information you will be required to inquire directly. That’s it folks, our cyber security list. Keep yourself, and your data, safe with one of these iron-clad safe antiviruses.